Originally designed to create multiple copies of a single document, the Thomas Edison electric pen would end up revolutionizing the tattoo industry. When people think Thomas Edison, they naturally think of all of his inventions. The lightbulb, the motion picture camera, the phonograph and the zoetrope are all things we can thank Edison for giving us. Another thing we can thank him for? The tattoo gun. 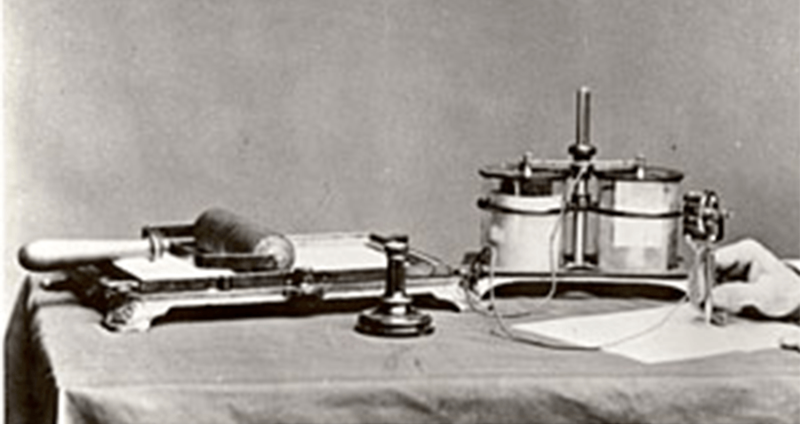 In 1875, Thomas Edison designed an electric pen. He had intended the pen to be used to make multiple copies of a single document, by writing on multiple pages at once. The pen point would pass over a stencil with an inked roller, and puncture the roller at 50 punctures a second, transferring the ink onto the sheets of paper below. The pen sold roughly 150 units a month, worldwide, for the first five years but was, ultimately, a flop, as it became clear that it wasn’t practical for everyday use. The need for an advanced battery limited the use of the pen to experienced telegraphists and engineers with knowledge of battery maintenance. Therefore, the main market, bankers or insurance workers who often needed to make multiple copies of a single document, were unable to use it. Eventually, roughly 10 years later, the typewriter effectively rendered the electric pen obsolete. However, a few years later in 1891, a New York City tattoo artist named Samuel F. O’Reilly heard about the Edison electric pen. 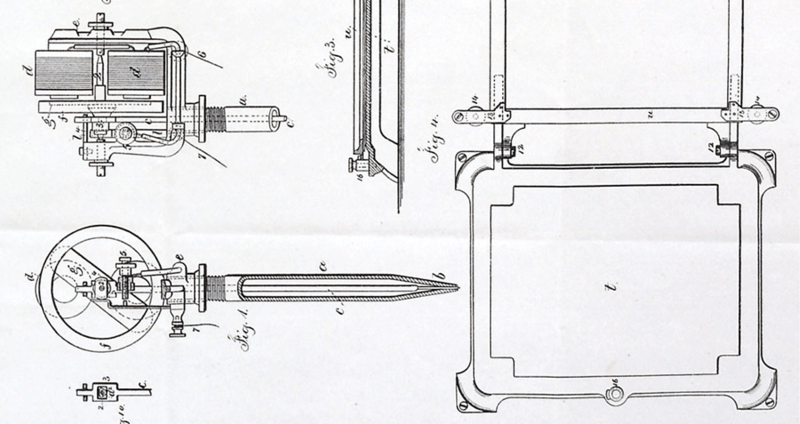 Using Edison’s original design, he created an electric needle, which operated much the same as the pen had. It used a similar rotating ink roller but replaced the pen tip with a needle that would push the ink into the skin. The needle allowed O’Reilly to tattoo skin at a much faster and more precise rate than doing it by hand. 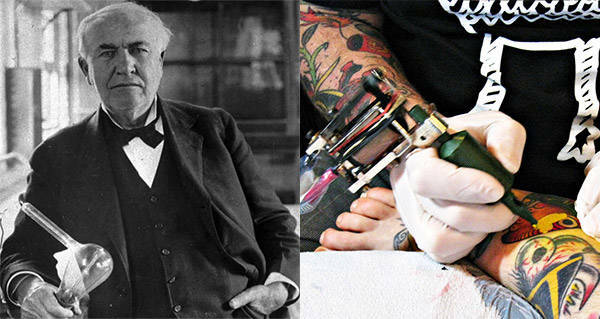 O’Reilly’s invention revolutionized the tattoo industry and helped increase the popularity of tattoos. Though they historically were seen as something that marked prisoners and slaves, tattoos were actually wildly popular amongst European nobility. Everyone from British royalty to Tsar Nicholas II bore tattoos and encouraged them amongst upper-class society until they fell out of fashion in the late 19th century. Enjoy this article on the Edison electric pen? Next, read about the person who invented recorded sound before Thomas Edison. Then, check out these amazing vintage tattoo photos.